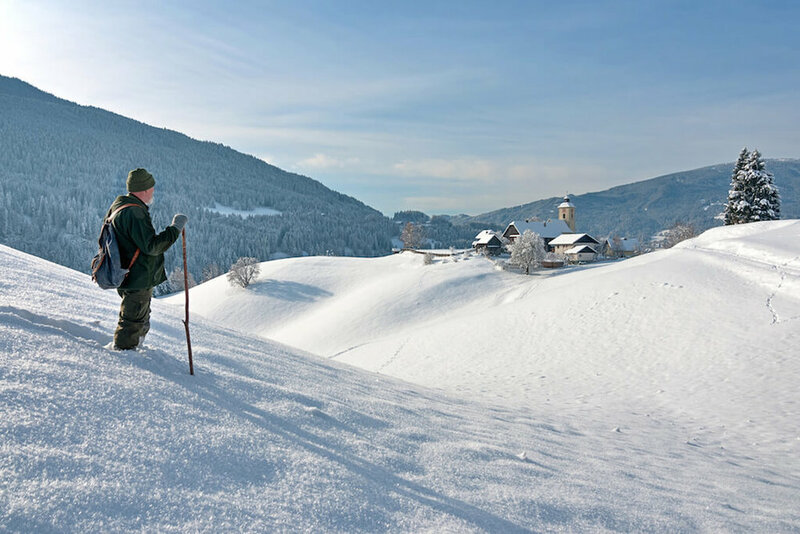 Winter holidays in Austria are great fun for the whole family. 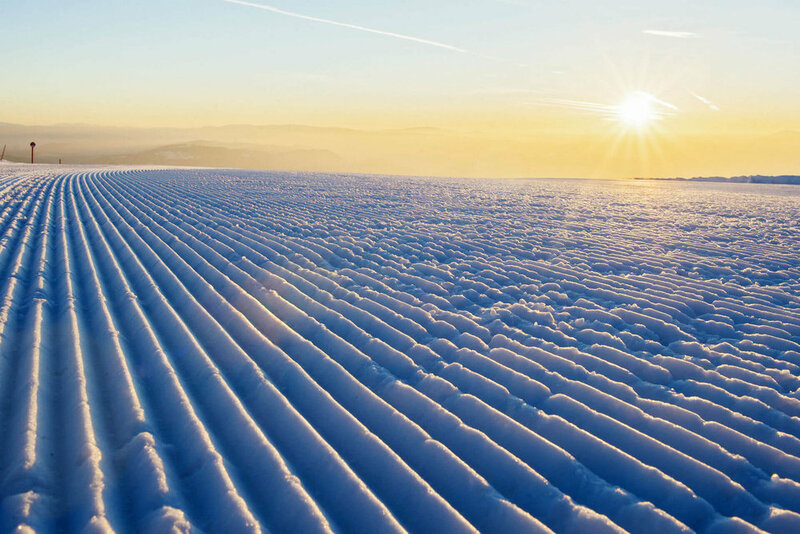 The ski area on the Gerlitzen rises to 1911 meters above sea level and lies at the heart of Carinthia. It offers 60 km of slopes and 16 modern lifts. There are wide ski runs in all degrees of difficulty. Ski directly on the slopes! The most relaxing days and weeks of the year our team will make memorable. 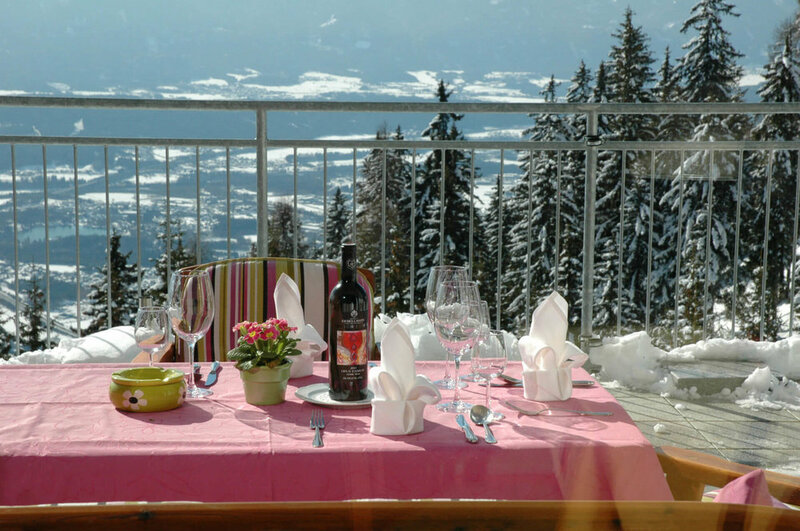 You will enjoy our cozy and pleasant atmosphere, with stunning panoramic view – directly on the ski track. Over the decades, Sonnenhotel has become a feel good place for generations of visitors. 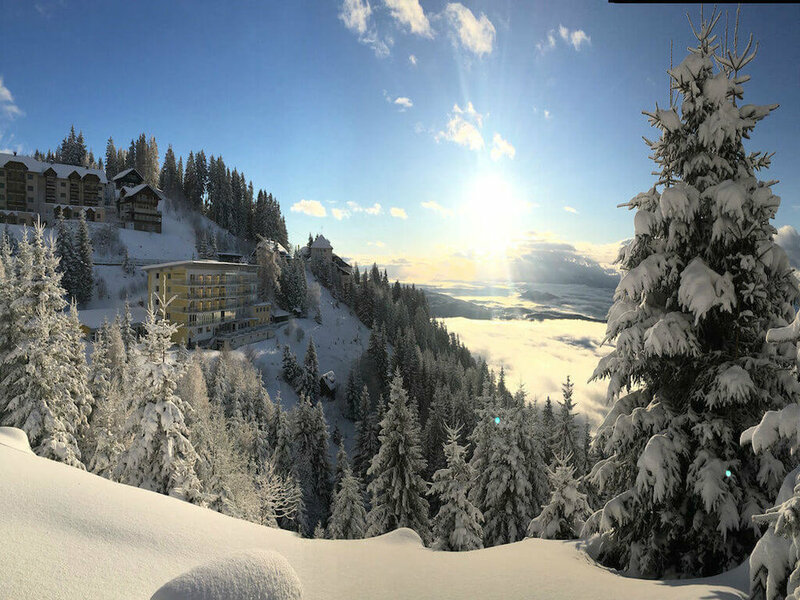 This is due to its friendly atmosphere, motivated staff and – last but not least – the sunny location in a particularly family-friendly ski resort. 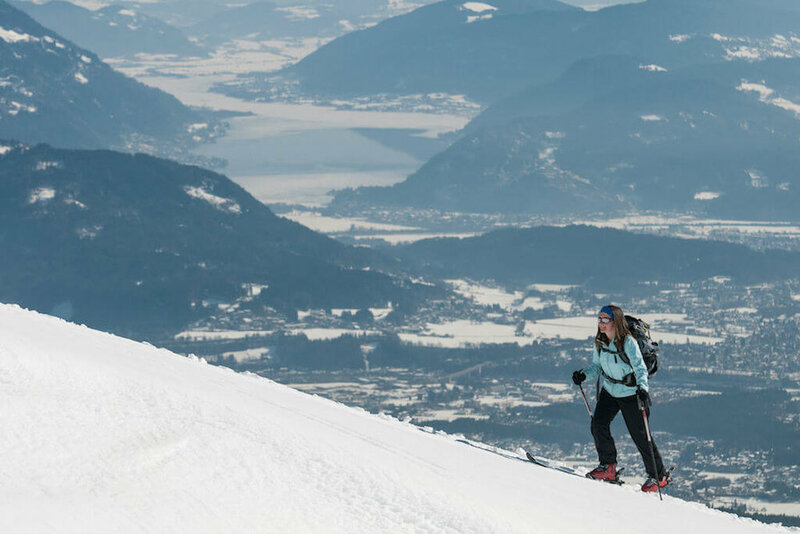 On Gerlitzen Mountain in Carinthia, learning to ski is all about having fun. At an altitude of 1,500 meters, next to the middle station, beginners will find the perfect place for practice: gentle slopes with guaranteed snow will launch you gently into your skiing career, and the comfortable chairlifts mean that beginners can catch their breath in between downhill runs. Advanced and professional skiers should head for the very top at an altitude of 1,911 meters to explore the resort on downhill runs stretching in every direction. One of the highlights for the whole family must surely be the downhill run right down to Klösterle from the mountain station. In the Snow Bear Land, the practice area for the little ones, a multi-faceted program keeps the kids entertained, and the Bino Bear, our popular mascot, drops in a couple of times a day for a play session. 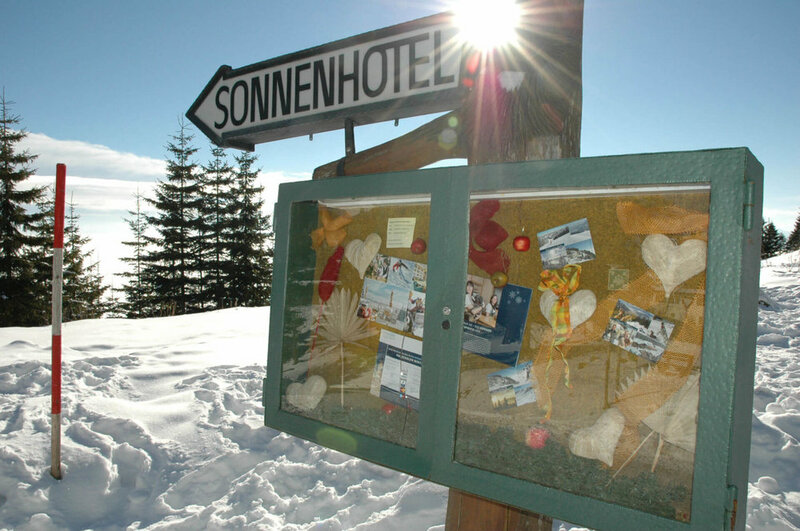 After they get back from the slopes, the kids may look forward to plenty of fun activities in the Sonnenhotel Kinder Club. All boys and girls from the age of 4 are invited to play in the Kinder Club rooms or in the indoor pool. We have prepared a creativity program, a kids’ table with special menus, different tournaments and a disco for kids and teenagers. Learning to ski on the Gerlitzen gives you plenty of pleasure and fun. Safe and cozy slopes make the beginning easy and comfortable. Instructors are patient, putting a lot of effort in their job. Practice area is in the middle station which is very convenient for our guests. Those without their own equipment can rent it anytime. 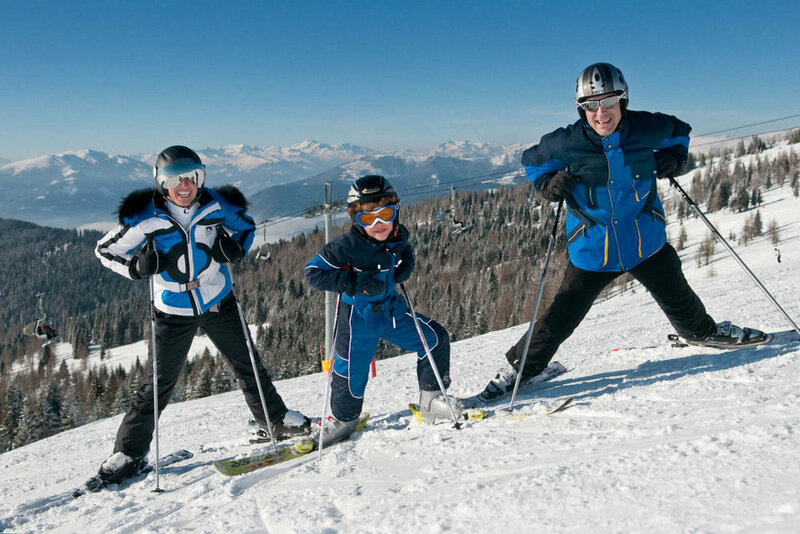 The ski and snowboard school Gerlitzen offers daily and weekly courses for children and adults, and for all levels. The youngest one can start their ski career in Snow Bear Land. Twice a day Bino Bear will visit them, dance with them and make the learning more fun. The children are supervised by trained personnel.